No, it’s not the end of the world…Go do STUFF! That’s the last “End of the World” joke we’re making today…MEH! You have options for Friday, December 21 that do not NOT involve Mayans or Catastrophes…some of the options are nice and some of them are naughty. We recommend you try some from Column A and Column B to hedge your bets. 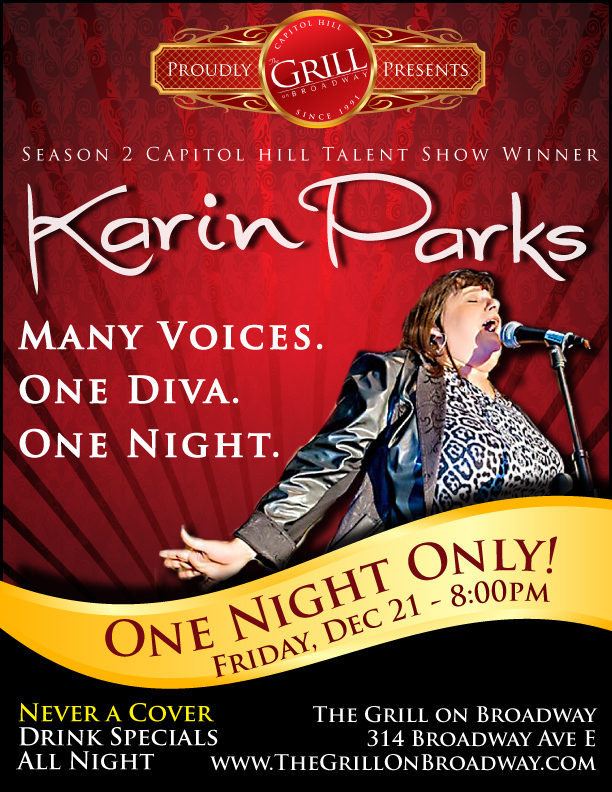 On the nicer side: the lovely chanteuse Karin Parks, the vocal diva who won the 2nd Capitol Hill Talent Show is offering up her Holiday themed show tonight at The Grill on Broadway at 8pm. This lady can SING, kids, and you really need to see her live and in person to appreciate her big gorgeous voice. She can channel Judy, Barbra, Liza and Shirley (Bassey) at the drop of a hat. If you’re a little over seeing lip sync, you need to come check her out! We’ve already given a lovely plug for “Ham for the Holidays: Ham-Ageddon” and we’d like to suggest you go check out the OTHER queer holiday show in town, DeLouRue Productions’ “Homo for the Holidays” at the Oddfellows Building’s West Hall but we’re not sure if they have tickets for tonight (Friday the 21st) but if you’re desperate to see this fantastic show hosted by Ben DeLaCreme and featuring an amazing line-up of talent, then you might try getting tickets at the door…there are shows at 7pm and 10pm. Saturday night’s 7pm show is Sold Out, but there are still tix available for the 10pm Saturday show. But, you should hurry and pre buy your tickets if you really want to see it…this show is becoming one of the must see shows of every holiday season. Meanwhile, Q is offering up a resident DJ, Recess plus very special guest Jen Woolfe (SFO) for tonight’s Gateway party. As usual, it’s FREE before 10pm and $10 after, so smart people bop in to get stamped early! 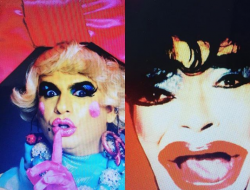 And, on Saturday night, Q is offering up a post-apocalyptic party with another San Francisco DJ, for Playground…join the ubiquitous Nark and guest Doc Sleep for another all nighter at Seattle’s hottest dance/electronica playground.